It was only about ten years ago that few people understood the importance of outdoor residential lighting and how to make it effective and pleasant. Houses usually slept in darkness along the streets, with perhaps only a patio lamp on, or a single light set in the front window. Houses with extensive outdoor lighting tended to look ugly and over-bright. Today, professional designers and electrical experts can create beautiful and inviting outdoor light set-ups for almost any home. Electrical Connection handles both commercial and residential lighting in Hartford, CT that will provide you with the most attractive solution for lighting whatever outdoor space you need. We only hire licensed electricians to get the job done right for you. Crime reduction: Improved outdoor lighting can do a tremendous amount to reduce your risks of vandalism and burglary. You don’t need to take our word for it, however. A 2008 report from the U.S. Department of Justice listed evidence of a 21% crime reduction in better-lit areas compared to the control group areas. Remember, you don’t need massive floodlights to get the benefit of crime deterrence: a smart and professional outdoor lighting installation can give you the security and protection of lighting without turning your home into a blaring beacon. Safety along walkways: With better outdoor lighting, the pathways, patios, and steps of your home will be much safer for your guests (and for you and your family) to navigate at night. This is especially important if you have an outdoor pool or unfenced edges around your backyard. If your home still has the same drab outdoor lighting from the days before lighting design began to make advances, you should look into the potential benefits of a new installation. You’ll keep your family and your property safer with professional outdoor lighting design. 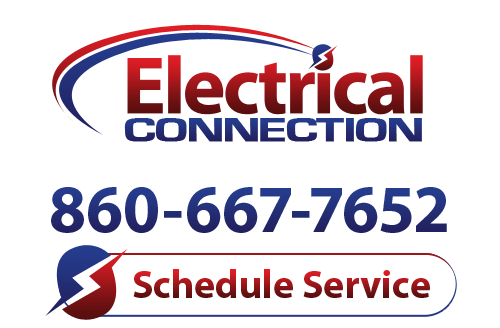 Electrical Connection can take care of any of your needs for lighting in Hartford, CT. Give us a call today to learn more about what we can do for you.